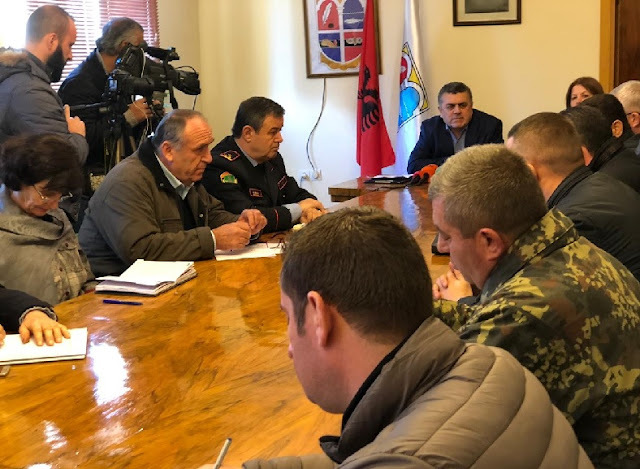 Korça County Prefector Dhori Spirollari has today organized a meeting with representatives of local and central government for the Lumalas Airport, a special event that directly affects the development of tourism. After 93 years, Korça will have an airport again. This project is projected to be built on the existing Lumalas airport trail, an investment worth 25m euros. All municipalities have become part of this project and have made an agreement for its realization. These discussions were how to launch this major project without having large investments in advance and then step by step to provide income that will be invested directly in this project. The Mayor Dhori Spirollari emphasized that this meeting was the first reason for informing and discussing this particular event. To realize the project with partial investments, taking the example of the Rinas Airport that started in the same way, and then to get income for investment in the big project. Sotiraq Filo, mayor Korça claims that the interest of the municipality was very great, appreciating today's meeting for information and awareness raising of the project, as it has a very special importance in the development of tourism as the Korça region is drawing visitors every day and more. At the beginning of the 20th century, three airports operated in Korça. The first civic flights from Lumalas airport, which was the largest airport, began in 1925 and continued until 1944. The track was then used only for military purposes.